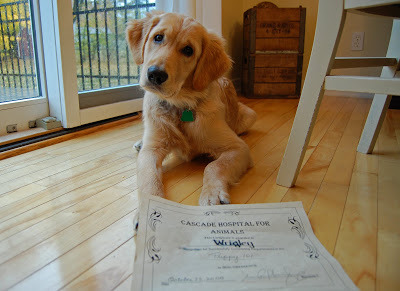 It’s official: Wrigley is a puppy school graduate! 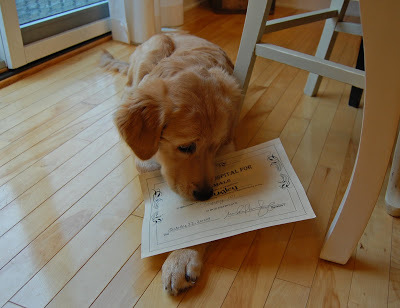 After six weeks of puppy class, our little guy received his diploma. Probably because every puppy did. 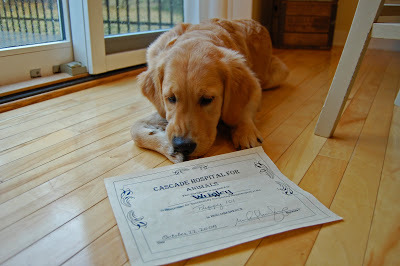 Wrigley did complete all of his tasks during his final evaluation, so we were proud. We just need to keep practicing! 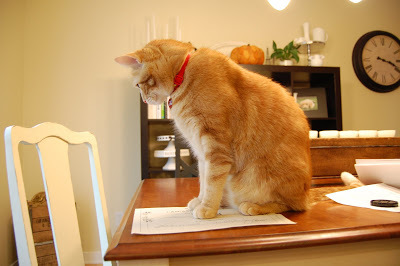 I didn’t get a picture of it until after he slobbered all over his name…oh well. Pancake is keeping it safe, for now. 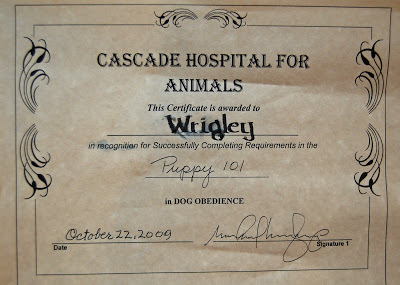 Congratulations Wrigley! He is such a big grown up boy. My two dogs graduated and forgot everything they learned. The first of many accompolishments!